Submitted by todangst on January 2, 2007 - 4:55pm. Hume saw that since the laws of nature are based on literally trillions of observations by billions of people over thousands of years, second hand testimony of miraculous violations of these laws were likely to be false. So what happens when we apply how we really rule out Paul Bunyan claims to Jesus claims? The exact same problems arise: there's no evidence to support an actual 'Jesus', despite the incredible effect such a divine being would have had on his times. And "Jesus" claims violate what we know of the world. So, when we are consistent we find that there is no rational difference in the claims. 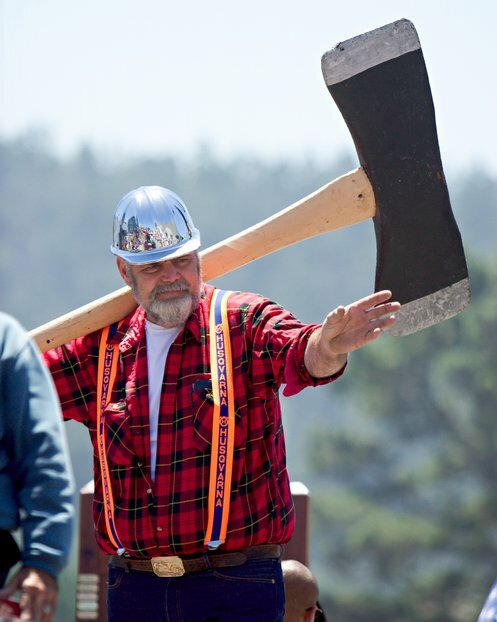 How about a human Paul Bunyan? ...but he was a big guy who could knock down a tree quicker than any other lumberjack around. Now that I have watered down my claim to something within the bounds of nature, would you agree that "Paul Bunyan" was real? Probably not, because you sense you were a victim of a 'bait and switch'. This "Paul" that you are being given is no longer 100 feet tall, no longer a man of myth. 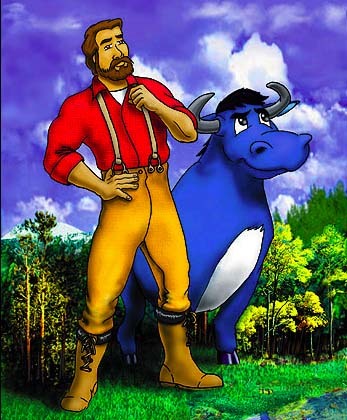 You'd argue that a "human Paul Bunyan" is an oxymoron - Paul Bunyan, by defintion, is something more than just human. Finding a human Paul Bunyan as the origin of the legend proves that the legend is myth. So, let's now apply this all to "Jesus" claims. It turns out that Jesus claims are in fact just like Paul Bunyan claims when we look at the situation rationally. There's no good reason to believe either claim and both violate what we know of the world. And interestingly enough, just as the attempt to 'salvage' Paul Bunyan as a 'man who inspired the legend' actually demonstrates that really isn't a Paul Bunyan, the same situation holds true for "Jesus".... Jesus as a a man who inspires the legend is no more "Jesus the Christ" than a tall guy with an axe is "Paul Bunyan." Submitted by Hambydammit on January 6, 2007 - 5:31pm. When I was a Christian, this argument was put before me more than once. It was always an uncomfortable argument to defend against, and I, like all other theists, was forced into one of a couple of defenses. In both cases, of course, the arguments are fallacious. It's worth noticing how I used the same fallacies that you refuted in your chapter, but by applying them to god, I tried to give them new meaning. In other words, "Yes, that logic is sound with regard to Paul Bunyan, because he's not god. Logic doesn't apply to god because he's beyond/above/outside of logic. So in both cases, it is necessary to claim that the only way to prove god exists is to change the definition of logic for god and create a "special case," another logical fallacy. Good post, as always, todangst.